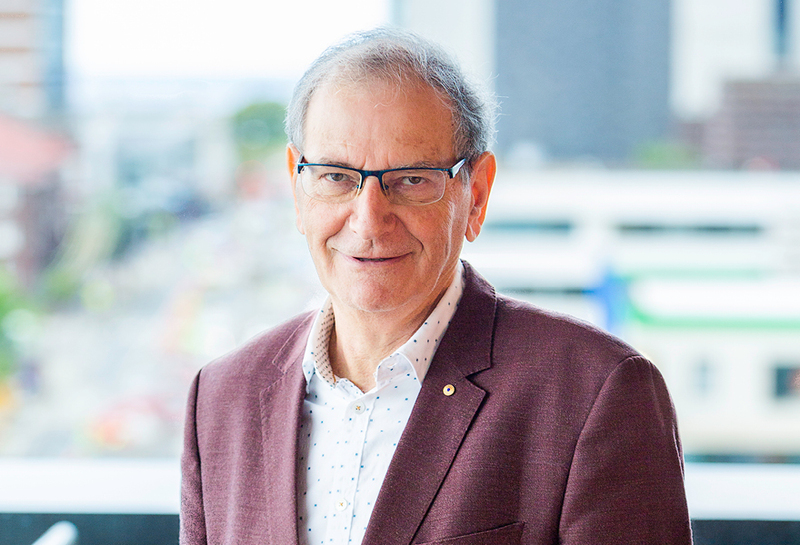 One of UNSW Sydney’s and Australia’s most distinguished academic leaders, Scientia Professor David Cooper, passed away on Sunday 18 March after a short illness. Professor Cooper was internationally renowned, initiating ground-breaking, collaborative infectious disease research that has saved countless lives in Australia, and throughout the world. He was among the first responders when the HIV epidemic reached Australia in the early 1980s, and the inaugural director of the research centre, founded in 1986, that grew to become the Kirby Institute and established Australia’s ongoing global leadership in the fight against the global HIV epidemic. “David’s importance as a clinician scientist in the field of infectious diseases cannot be overstated,” the Acting Dean of UNSW Medicine, Professor Tony Kelleher, said. “He contributed to the development of every therapeutic drug used in HIV. All over the world he was respected as a leader, and at home he was an insightful colleague and unparalleled mentor,” said Professor Kelleher, who is also the head of the Kirby Institute’s Immunovirology and Pathogenesis Program. Professor Cooper, having completed his doctorate at St Vincent’s Hospital in Sydney through UNSW, was working at the Dana-Farber Cancer centre in Boston in the early 1980s, when blood samples started arriving from New York for testing. The blood was from very ill gay men, and showed signs of the devastation that the HIV virus, then unknown to the world, was able to cause to the body’s immune defences. In an interview on ABC Radio National in 2015, Professor Cooper said: “I thought, I know where St Vincent’s is. If the key risk groups are the same [in Australia], which I’m sure they are, then we were going to be seeing it at St Vincent’s.” Sure enough, on his return to Sydney, Professor Cooper was soon seeing the same disease patterns in the local gay community, and St Vincent’s location quickly made it the hub of efforts to care for people with this new and frightening condition. Professor Cooper and his colleagues enrolled a number of young men who were patients at local general practices into one of Australia’s first clinical HIV research studies. The results, published in The Lancet, led to the first description anywhere in the world of the so-called “seroconversion illness,” which defines initial HIV infection in many people. 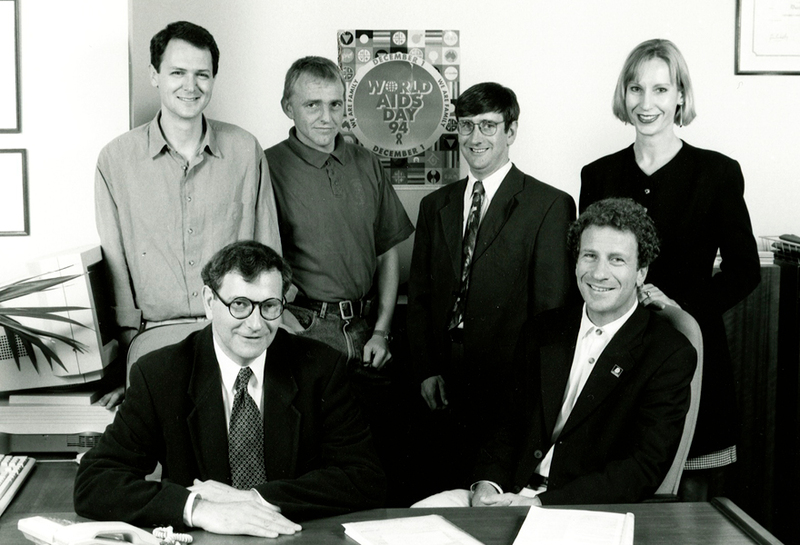 The Kirby Institue leadership team in 1994. Back left-right: Matthew Law, Sean Emery, Mark Newell, Kate Clezy. Front left-right: David Cooper, John Kaldor. By this time Professor Cooper was both head of the National Centre in HIV Epidemiology and Clinical Research (which became the Kirby Institute), established by the Commonwealth Government as an early response to the epidemic, and Director of St Vincent’s AIDS Unit. He spoke often about the effects of ignorance and stigma on his patients, with some staff refusing to take food trays into their rooms. His approach, embraced by the Sisters of Charity, the religious order which ran St Vincent’s Hospital, was that every patient deserved dignity, care and compassion, and that none would be turned away. From the earliest days, Professor Cooper understood that rigorous research would be required to discover the treatments needed to stop HIV in its tracks and prevent its destructive effects. He saw that the best way to find the right drugs was to actively involve those affected by HIV in decisions about how trials would run and what would happen if a drug showed promise. In the early days, with the specialised hospital wards stretched beyond capacity and the frequency of funerals rising relentlessly, there was considerable anger from the gay community about delays and bureaucratic barriers in drug development. Professor Cooper was always accessible to community treatment activists, and used his considerable scientific and political influence to make sure the system was overhauled. At the same time, he was an international leader in the clinical trials of new drugs that had started to appear and, used in combination, proved to be the breakthrough that stopped people dying from AIDS from 1996. Almost immediately, people with HIV in Australia were able to freely access life-saving treatments, and over the next two decades, Professor Cooper led trials that contributed to enormous improvement of the treatments, to minimise their side effects and make them easier to take. With HIV becoming one of the most intensively studied infections of all time, the development of a daily, single-pill treatment which is not a cure but virtually eliminates the ongoing effect of the virus was “a modern medical miracle,” Professor Cooper said. While the advent of effective HIV treatments in the 1990s reduced the sense of crisis in rich countries, Professor Cooper’s work was far from done. Turning his attention to the many countries of the world facing HIV that were far less well off than Australia, he asked the simple question: Why should the accident of where a person lived affect their access to life-saving drugs? This was a radical idea at a time when extreme inequality in health access was generally taken for granted. Having recently assumed the Presidency of the International AIDS Society, Professor Cooper was in a position to make a difference. Urged by his advocacy, the Society took a strong and effective position. By the time of the Society’s 2000 conference, which took place in Durban at the heart of the global epidemic, a paradigm shift had taken place and the world was ready to find ways to treat everyone with HIV. Professor Cooper also strongly believed that affected countries needed to be able to conduct their own research to make a difference, just as Australia had done so effectively from the start. In 1996, Professor Cooper, along with colleagues from the Netherlands and Thailand, established a research centre in Bangkok, called HIV-NAT, with the ambition to be the focal point for developing new treatments for Asian countries facing increasing HIV rates. Professor Cooper worked intensively to build and support HIV-NAT in its first years, and was proud to be able to stand back as it became a fully independent centre of excellence and training in South East Asia. More recently, he launched HIV clinical research collaborations in Indonesia and Myanmar. While treatment was Professor Cooper’s passion, under his leadership the Kirby Institute took on the whole spectrum of research needed to respond to the HIV epidemic, including public health surveillance, social science, and laboratory studies. He also ensured that the Institute expanded its scope to encompass other diseases, particularly hepatitis C and a range of sexually transmissible infections. The unifying theme was always that people should have access to the best available options for treatment and prevention, regardless of their social or personal circumstances. Professor Cooper received many professional accolades and was made an Officer in the General Division of the Order of Australia (AO) in 2003. 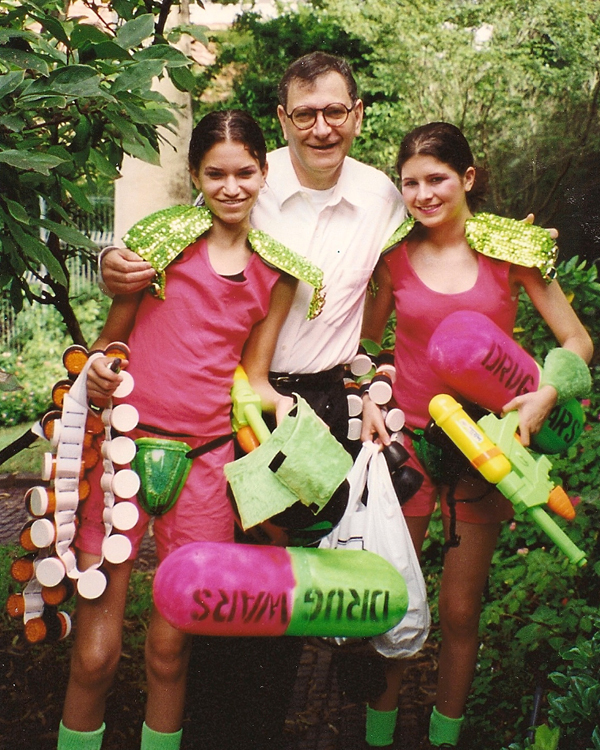 Professor Cooper with daughters Ilana and Becky (dressed as ART) preparing for the 1999 Mardi Gras. Professor Cooper took immense pride in his family. His wife Dorrie and their daughters Becky and Ilana were as unfailingly supportive of his work as he was of them. To them, we extend our deepest condolences.